2012 Texas Rose Kelly Gaetano will go to Tralee! 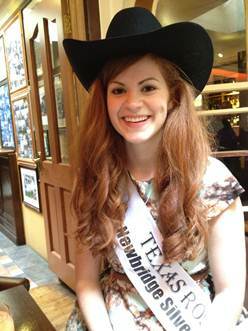 Our beautiful 2012 Texas Rose Kelly Gaetano, will be going to Tralee! See Kelly’s Rose of Tralee page. A tentative date of Saturday, July 21, 2012 is being considered for an event at Trinity Hall. Upcoming sendoff event notices to be sent out soon. Stay tuned. We wish to inform you that the Arizona Rose, Lucy Artt, has withdrawn from the Rose of Tralee International Festival due to personal reasons. Therefore, the USA reservist Rose selected by the Judging Panel at Regional Final, Texas Rose Kelly Gaetano, will now take her place at the International Festival this year. This entry was posted in News & Announcements, Rose of Tralee and tagged Rose of Tralee, Texas Rose. Bookmark the permalink.